Everyone and their mother is either baking or ordering a Rainbow Cake these days. 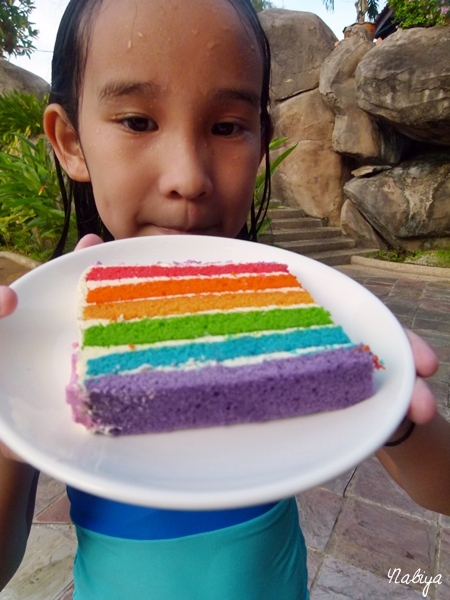 It’s cute, I admit I gasped the first time I saw that picture on Whisk Kid‘s blog, and then I’m quite sure I was throwing up rainbows when Sweetapolita posted her Rainbow Doodle cake up. 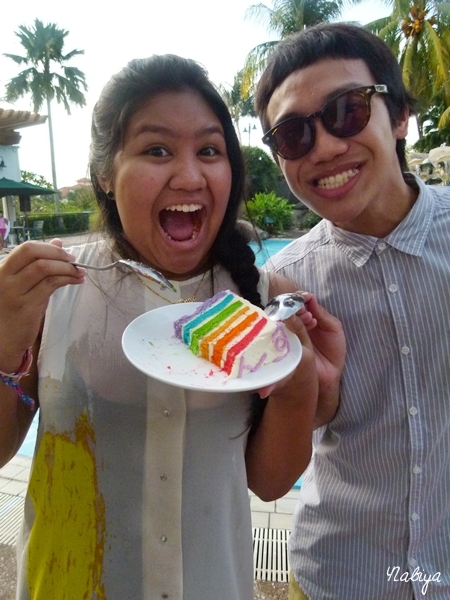 My friends Soraya, Pri and I even went around to an obscure bakery in Bangsar to check out their rainbow cake! It was delicious… but disappointing. 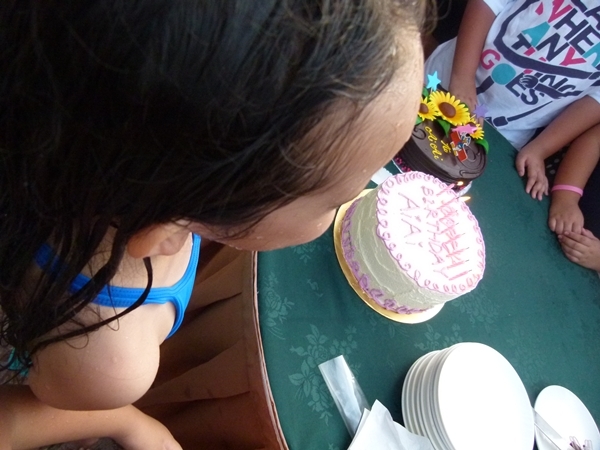 It was more of a tie-dye cake than a rainbow cake. 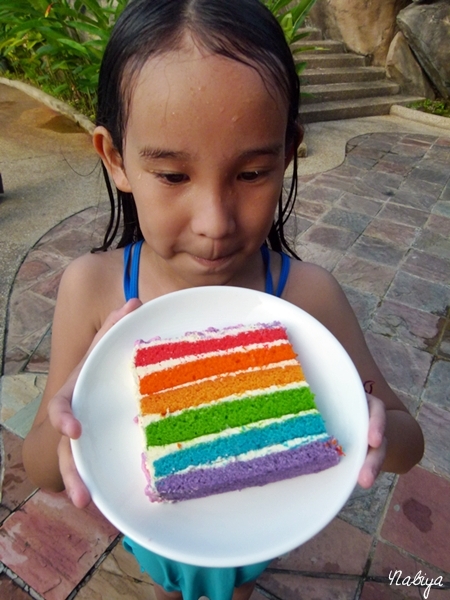 But when my cousin texted me last week to say that her daughter had especially requested for “Auntie Nabiya” to bake her a rainbow cake for her birthday… I jumped at the chance. 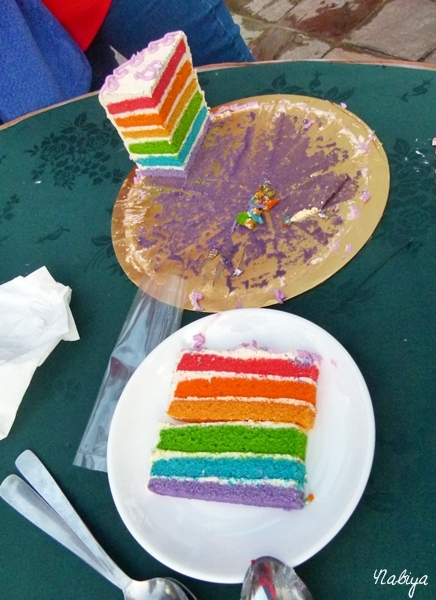 I may not ever want a rainbow cake for myself, so this was my first opportunity to try out the colours without having to deal with the excess lying around in my fridge because nobody in my household wants to eat that much colouring on a normal day. Also, how can I say no when she calls me Auntie Nabiya so sweetly? Darn these little girls and boys, they know exactly how to play their cards with me. It doesn’t take much, really, I’m a sucker for big eyes and apple cheeks. I’m getting old. LOL. 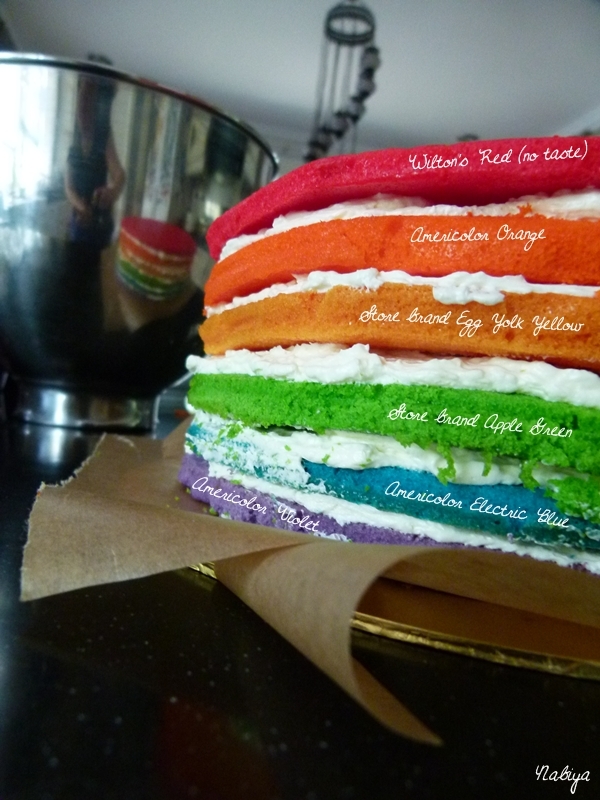 Let’s just get on with the rainbow cake, shall we? First slice is the deepest… oh man, you have no idea how relieved I was at this point! The cake was a huge hit with the 8-25 year old crowd gathered at my niece’s birthday party, and I absolutely LOVE how the layers turned out so clean! I was terrified I’d end up with crumbly, uneven layers. 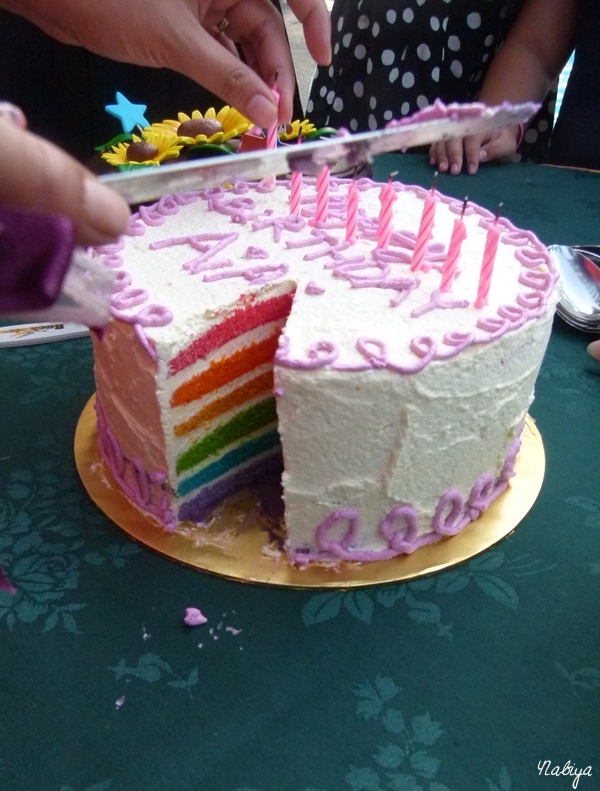 But that moment of truth when you cut into a rainbow cake is definitely a moment you’ll never forget.